T6 Thermoblast is a fat burning product. The supplement is marketed by the UK company Slimming Solutions, but it is unclear whether the company manufactures the blend or just affixes their label a private label product. The present day formulation has been created to replace and older version of the product, so consumers searching for information about T6 Thermoblast need to take careful note of which version individual reviews are referring to, but that’s somewhat of a moot point because if anyone has anything to say about either version they do not appear to be saying it online. T6 Thermoblast is produced in capsule form. Each bottle contains 90 capsules and costs £19.95 from the Slimming Solutions website. The company also sells the product via Amazon and eBay and the price appears to remain consistent across all sources. Slimming Solutions say T6 Thermoblast is a thermogenic fat burner that works ‘on an extreme level’ to provide maximum fat burning benefits and reduce water retention to provide the user with a new slimmer look. The word ‘thermogenic’ means to produce heat. In the supplement industry it is commonly used to refer to substances that increase body heat by stimulating the metabolism and encouraging fat burning. The recommended dose is two tablets per day. Green coffee bean extract: Green coffee beans are high in chlorogenic acid—a substance that has been tested and is proven to provide enhanced fat burning. Raspberry ketone: Usually sourced from raspberries, but can also be extracted from some other fruits including cranberries. Raspberry ketone became a very popular inclusion in weight loss blends after the US TV personality Dr. Oz endorsed it as an effective fat burner, calling it a ‘miracle in a bottle’. Caffeine: A powerful stimulant that can boost energy levels. It is also believed to have appetite suppressing qualities, but side effects, including the nausea and the jitters, make caffeine unsuitable for some users. Acetyl-L-Carnitine: A combination of the amino acids lysine and methionine. Acetyl L-Carnitine has the power to boost the metabolism and encourages the utilization of stored body fat as a source of energy. L-Tyrosine: An amino acid that reduces stress levels and improves mental focus by triggering the release of noradrenaline and dopamine. Konjac powder: A fibrous ingredient that swells up inside the stomach when introduced to water, creating a feeling of fullness and suppressing the appetite. African mango: Supplementation with African mango can encourage weight losses of up to 28 lbs. in just 10 day. Capsicum: A tested and proven ingredient, capsicum can hinder the growth of fresh fat cells, boost the metabolism, and increase the body’s fat burning abilities by up to 12 times. T6 Thermoblast is unsuitable for use by vegetarians because the capsule casing contains gelatin. The caffeine content may be an issue for some users, but the lack of inclusion rates makes it difficult to predict how much of an issue its presence may be. Most people tolerate caffeine well, but if the quantity is too high possible side effects may include the jitters, nausea, heart palpitations, restlessness, and headaches. The blend also contains an unknown ingredient. This is a major worry, because, with no information available, it is hard to say what effect (good or bad) it may have on the body. Consultation with a doctor is recommended before use. A product containing raspberry ketone, green coffee bean, capsicum and konjac root would appear to be almost a dream team as far as natural weight loss ingredients are concerned but there are just too many ingredients in this formula. Green coffee, raspberry ketone and capsicum are highly effective on their own and among the best selling globally. 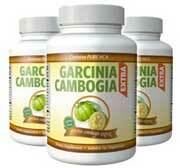 Our preference though id for garcinia cambogia – a fat burner that can also help stop the creation of new fat cells.